Nearly half of people with sight loss in England are not being assessed for vision rehabilitation support by their local authorities. This is the conclusion of RNIB’s (Royal National Institute of Blind People) new report See, Plan and Provide, which is based on an exclusive survey of local authorities in England. RNIB surveyed 150 local authorities about their vision rehabilitation services for people with sight loss. 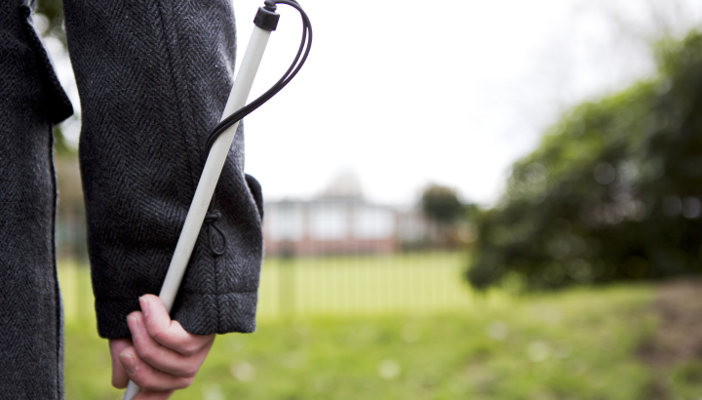 Under the Care Act 2015 local authorities have a duty to meet the needs of blind and partially sighted people. This means they have to provide a structured programme of preventative support for each local resident who has sight loss. 66 per cent of local authorities do not offer an initial specialist assessment to people with sight loss. This means people may be inappropriately signposted away from vital vision rehabilitation support they greatly need. Vision rehabilitation plays an important role in helping people to learn and develop the skills they require to adapt to living with sight loss, e.g. making a cup of tea and crossing a road. A specialist assessment for vision rehabilitation can identify what support people with sight loss need to maintain their health, independence and wellbeing. Provide: any agreed vision rehabilitation support must start within 12 weeks of the person’s initial contact with the local authority. Fazilet Hadi, Director Engagement at RNIB, said: “Our research has found shockingly inadequate vision rehabilitation assessments for thousands of blind and partially sighted people. While some local authorities are doing good work, it’s completely unacceptable that many others are failing people who are losing their sight or living with sight loss. “We urge all local authorities to provide quality vision rehabilitation services, so people with sight loss receive the support they need to become or stay independent. Local Authorities should See, Plan and Provide – undertake a face-to-face specialist assessment, agree a personal plan, and deliver necessary support." Joanna Penn, from Lowestoft, has sight loss. She has lived in different local authority areas across England and has tried to use their vision rehabilitation services. She said: “At times, I’ve had to wait between 12-16 weeks for a phone call confirming I have an appointment for an assessment. It made me feel like I’d got lost in the system and forgotten about. RNIB has also produced the guide 10 principles of Good Practice in Vision Rehabilitation, which stresses the importance of timely contact with people with sight loss. The guide aims to help standardise the service people receiving vision rehabilitation should expect. It was produced in consultation with over 130 sight loss professionals, blind and partially sighted people, VISION 2020 UK and members of the Rehabilitation Workers Professional Network (RWPN). Find out more about See, Plan and Provide. Read the 10 principles of Good Practice in Vision Rehabilitation.